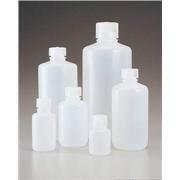 Nalge 2104 Similar to 1717E05 series bottles With polypropylene screw caps More rigid than LDPE type Temperature range 110°C to 120°C 30 and 60 mL bottles have a 28 mm closure size; 125 mL bottles: 38 mm; 250 mL bottles: 43 mm; 500 mL bottles: 53 mm; 1,000 mL bottles: 63 mm. 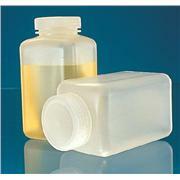 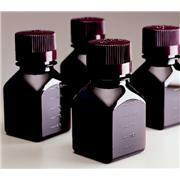 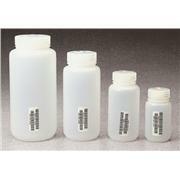 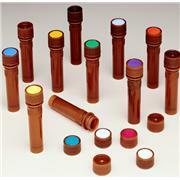 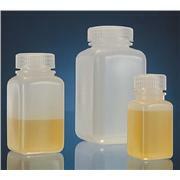 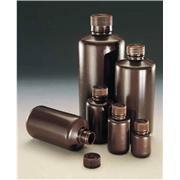 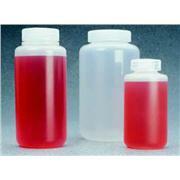 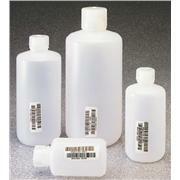 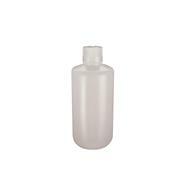 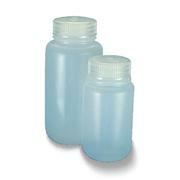 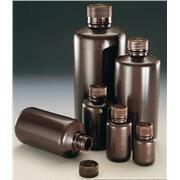 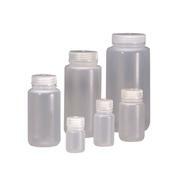 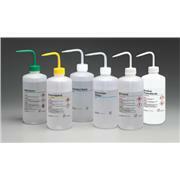 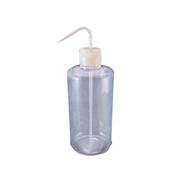 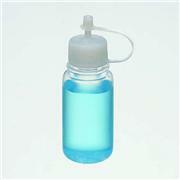 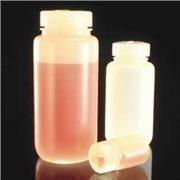 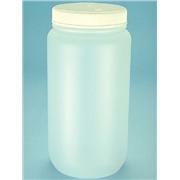 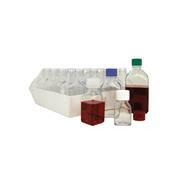 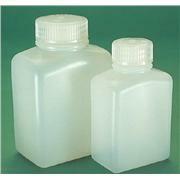 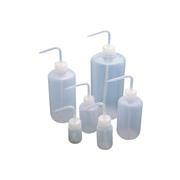 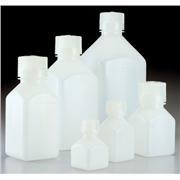 NALGENE® wide mouth amber HDPE bottles are suitable for soil, sludge and sediment samples. 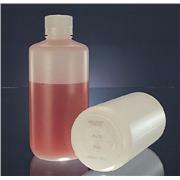 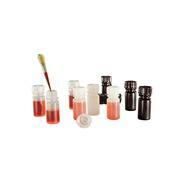 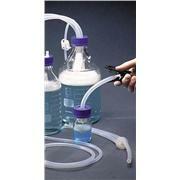 Recommended for UV light sensitive samples. 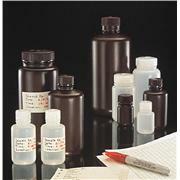 I-CHEM Certified® to meet the EPAs Performance Based Specifications for metals analysis, water quality parameters and Diquot/Paraquot. 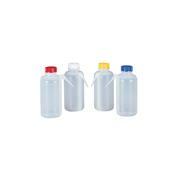 Wide mouth for easy filling Holds up to 500 mL of liquid Convenient, built-in dispenser won't get lost or contaminated when refilling. 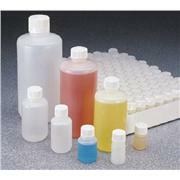 Comes as pre-packaged, color-coded assortment with one each: red, blue, white and yellow caps. 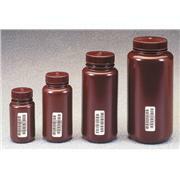 Custom right-to-know labels included. 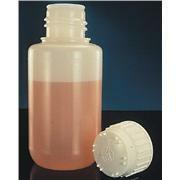 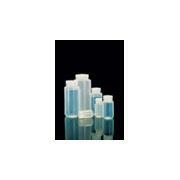 One-piece stem and cap Nalge 2401 Narrow neck Made of lower density polyethylene with polypropylene screw cap and stem. 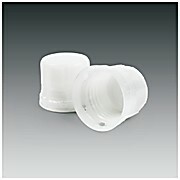 Stem and cap are molded in one piece.